Because Our Italian Food Is No Longer 'Red or White Sauce'? 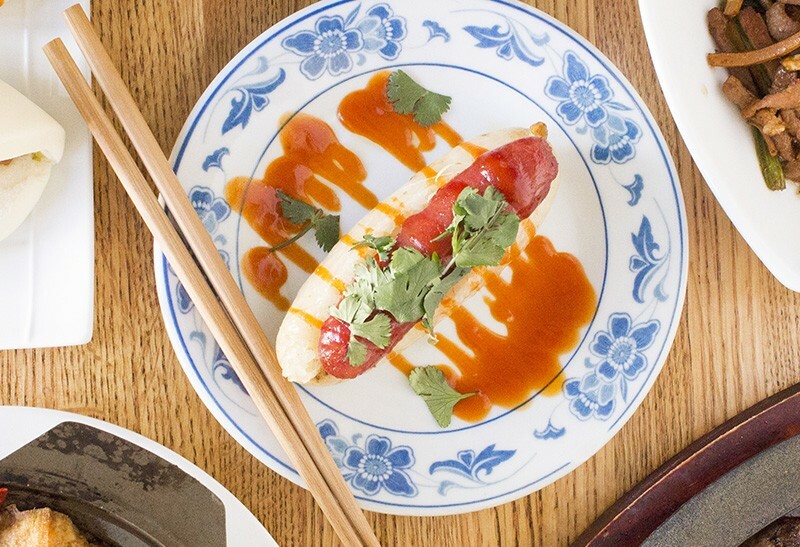 Eat Tai Ke's hot dog, and you may never settle for Chicago-style again. If you want to be daring with your hot-dog consumption, you have two options: Squirt ketchup all over your Vienna beef in front of a bunch of Chicago dog purists or try the Taiwanese sticky rice hot dog at Tai Ke (8604 Olive Boulevard, University City; 314-801-8894). Since introducing the St. Louis community to authentic Taiwanese street food last year, owners Calvin Koong and Brian Hsia have been challenging local diners to be a little more daring with their food choices. Sure, you can get buns and dumplings at the University City restaurant, but Tai Ke's most exciting dishes are the ones that may push you to rethink your preconceptions. Maybe it's an omelet studded with salt shrimp, a pork chop that simmers in pickled radish soup, or even the beloved hot dog, which here is placed atop sticky rice and dressed with a sweet and sour glaze. Whatever you previously thought of these dishes will get turned on its head at Tai Ke — and you'll be the one who's head over heels.